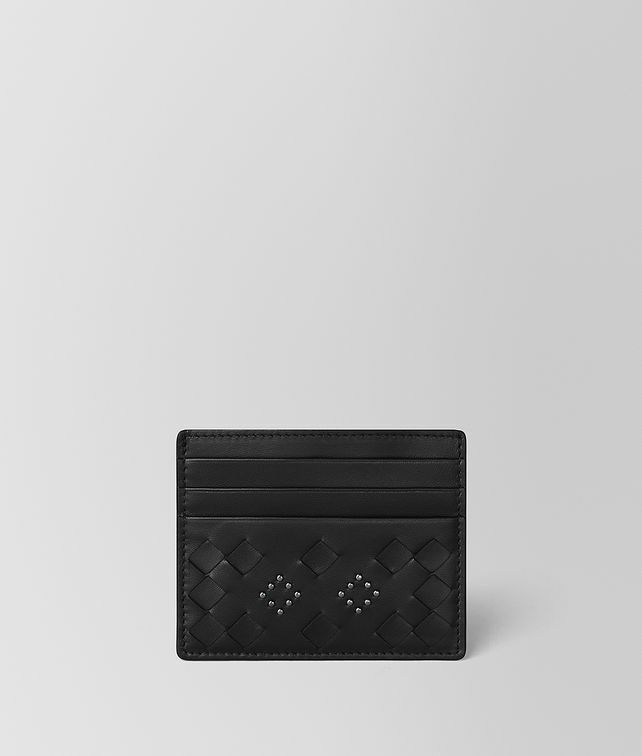 The slim card case is crafted from soft nappa leather in Bottega Veneta’s iconic intrecciato weave. This style displays hand-applied brunito-finish microstuds in a graphic pattern. It features six card slots and a lined center pocket for storing notes.